Have you ever heard someone say “oh I can’t do that, I have a bad back”. What causes a “bad back” and what can be done about it? A “bad back” is usually an indication of a chronic, longstanding injury or problem that was never detected or corrected when it first began. Often “bad back” sufferers will experience an acute episode during the summer months as a result of summertime activities like golfing, gardening and long hours of traveling. The key to avoiding these episodes is to get to source of the problem and not simply mask it with medication or fool yourself that “it will go away”. There are several different types of tissue affected when someone complains of a “bad back” including the joints and soft tissues of the spine such as the spongy-like discs between the vertebrae, the ligaments that support and hold the spine in place, the delicate and sensitive nerve tissue and the many overlying layers of muscle that have to respond and tighten to protect the deeper intrinsic injuries. 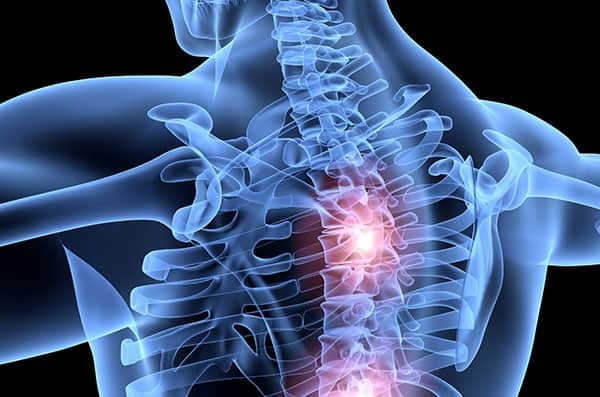 Often the cause is not a major single incident but a series of minor or micro- traumas that slowly accumulate and overtime weaken the spine and related tissues. The normal curves of the spine are essential for shock absorption and normal biomechanical movement of our bodies. These curves can be lost or straightened over time as a result of the major and minor traumas we endure on a daily basis. This improper alignment places added stress and pressure on the joints and discs in your spine. As well, the surrounding ligaments that support normal alignment can deform and the surrounding muscles can react because of the increased demand. These muscles are the ones that can get stiff and sore during or after our favorite activities. All of these physiological changes can irritate the delicate nerve fibers located in and around the soft tissues of the spine which then respond by sending messages of pain to our brain. The reason it keeps reoccurring is because often the underlying cause is going undetected and uncorrected. The good news is that a thorough examination from a qualified Chiropractor which may include weight-bearing (standing) x-rays of the spine will often reveal the underlying cause. Because chiropractors specialise in detecting and correcting the vertebral misalignments or “subluxations”, they have excellent success rates at helping these chronic problems so you never again have to give that age old excuse of having a “bad back”. Copyright © 2019 Dr Tim Jaeger. All Rights Reserved.